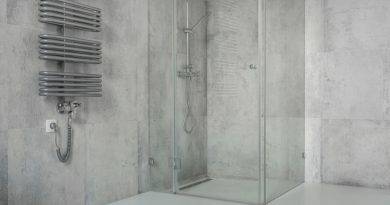 Are you looking for a way to add sophistication to your master bathroom or powder room? If storage is not a problem for you and you need the option of not having to secure your new sink to the floor by lag bolts (optional depending up the pedestal model). Then a vanity pedestal is what you are looking for. 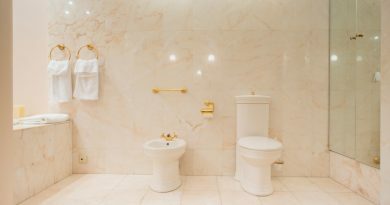 Pedestal sinks are usually made of either enameled cast iron or vitreous china, with cast iron being the more expensive and vitreous china having more options in quality and style. First things first; turn off the water supply. If the wall behind the sink you are about to install is only drywall or plaster, then you need to add support by cutting away the drywall and adding a 2×8 brace between the wall studs. This can be attached by using angle-driven screws. Next, you must hide the unsightly hole by patching the drywall, sanding it and then repainting the area to match the rest of your bathroom. Just make sure to remember or mark off where the brace is so that you can easily mount the pedestal sink later. To get the correct height and to stabilize the sink basin when you are installing it, use 2 – 2×4’s on either side of the sink to hold it up will make things a lot easier. Use a level to establish that the sink is totally horizontal with the sink sitting on the pedestal; hold it up against the wall to get the correct position for the bracket. Mark the location for the mounting holes on the wall for both the basin and pedestal. Drill the holes corresponding to your marks. Next, attach the bracket to the brace making sure to double check the level with the leveling tool. It should be noted here that most pedestal sinks come with three different hole arrangements, just make sure your faucet matches the right hole configuration, so you don’t have to take it back and exchange it in the middle of your installation. Ok, so you are now ready to mount the basin. When mounting the basin, be sure it is high enough so that you can slide in the pedestal beneath it. Install the faucet and all the necessary trap and pop-up assembly into the sink. Place only the basin on the mounting bracket and attach the basin to the wall, don’t over tighten. Next, with the basin still supported by the 2x4s slip the pedestal out from under the basin. Now you must make sure everything is connected properly. Connect the trap and water supply lines and turn on the water to check for leaks. Having a small pail ready in case of a leak is a sensible caution. Then you must carefully slide in the pedestal base and if necessary secure the base with lag bolts. Lastly, caulk around where the basin meets the wall and also where the pedestal meets the floor for a seamless fit. 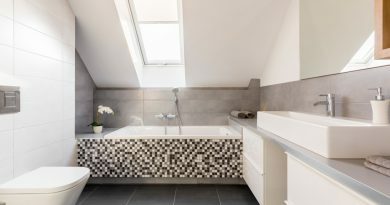 Another great idea is installing two pedestal sinks with a free-standing storage shelving unit or cabinet in between them, this can add charm and originality to any bathroom décor. If space is in short demand, installing hooks or racks or narrow cabinets on the walls can also add more storage capacity to your bathroom. Pedestal sinks are a more formal and stylish alternative to the traditional countertop sinks. They’re perfect for a half bath or powder room where a vanity would cramp the limited space. Despite their elegance, they can sometimes present some installation challenges. One of the most import things to remember is not to tighten the lag nuts too tight, or the china will crack or break and always measure and measure again. Don’t rely on the manufactures spec sheet because it is simply a guideline. Again, make sure the pipe fittings and sink height is what it should be. 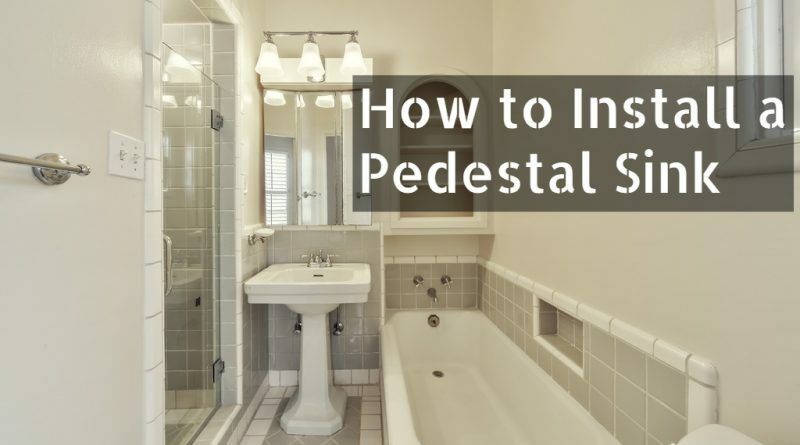 With a little planning and having the right tools available, installing a pedestal sink will be well worth the time and effort.